Did the world really need yet another version of Final Fantasy IV? That question was bothering me long before I put the card in my Nintendo DS and fired the system up. After all, here was a game that, since its original Super NES release as Final Fantasy II here in the U.S., had seen both a Sony PlayStation version and a Game Boy Advance port reach North American shores. Surely, I reasoned, a fourth version would have nothing new of significance to add, right? Oh, how wrong I was! The error of my ways was evident quickly, and I realized my folly within the first hour of play. The game launched with a gorgeous FMV opening sequence that quite frankly is higher quality than I thought possible on the Nintendo DS. After that, players are treated to the story sequence where lead character Cecil is captaining his fleet of airships back home following a successful operation. It’s something that longtime Final Fantasy fans have probably seen many times since the 16-bit days, but never quite like this. FF IV has gotten a complete make over in the mold of Final Fantasy III DS, so the tiny character sprites and other relics of the era have been replaced by 3D models and other improved visuals. Without a doubt, it is a change for the better. Like the graphics, things have been tweaked for the better in the sound department as well. Thankfully, that didn’t mean messing with the music, as versions of the classic Nobuo Uematsu compositions that fans of the series know and love are still here, and while it has been a while since this reviewer went back and replayed an older version of FF IV, they certainly seem to be in tact. What it does mean, however, is that voice acting has been added to the game for the first time. There was some initial skepticism among the Final Fantasy IV faithful regarding this move, but anyone who was dubious can officially put their fears to rest — the cast has been chosen wisely and the vocal work is well done. Not only that, but it greatly enhances the story throughout. Speaking of the plot, it focuses on the aforementioned Cecil as he comes to question his kings orders and his own morality, and eventually follows the dark knight as he sets off on a quest for redemption. Along the way, he will meet several other characters with their own stories to tell, and in typical RPG fashion, things will eventually get intertwined in a quest to save the world. The story in Final Fantasy IV has always been good for a 16-bit RPG, but thanks to the aforementioned voice acting and a completely retranslated script, it has definitely come alive and moved into the 21st century with added depth and a greater feeling of high fantasy. Without a doubt, this is the definitive version of the FF IV story. Notice that I was careful to mention that this was the definitive version of the FFIV story. That’s an important distinction to make, because in some ways, the gameplay has taken a few steps backward from previous renditions of the game, particularly Final Fantasy IV Advance. At the core, this is the same game, complete with the familiar active-time battle system and the need for old-school style level grinding. Unlike the GBA version, however, the DS remake lacks some of the bonus dungeons and the ability to create your own final party. In does include some interesting additional content of its own, namely the ability to transfer skills from one party member to another via the Augment system, several stylus-controlled minigames featuring an Eidolon (that is, a companion of the summoner, Rydia) and the ability to earn prizes by completing area maps. That’s all well and good, and it does add some gameplay depth, but it just doesn’t make up for the loss of all that great FF IV Advance content. Final Fantasy IV is a great RPG, and video game enthusiasts owe it to themselves to play through at least one version of the game, if they haven’t already. One question remains, though — is this DS version the best yet? The answer depends upon individual taste. If you’re the game who prefers style over substance, and would rather have a wonderful plot presented to you in the best way possible, then yes, the DS version is the one you should check up. 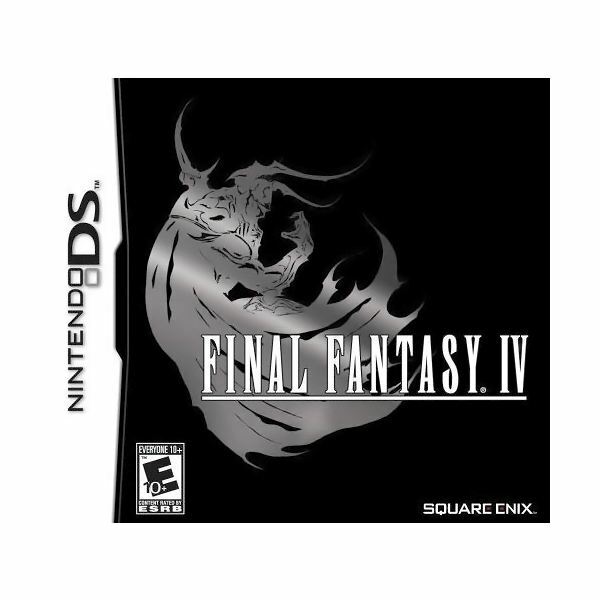 If you prefer depth and extra content and don’t mind sacrificing quality visuals and voice acting in the process, then you should go with Final Fantasy IV Advance instead. For a point of record, this reviewer prefers FF IV DS, simply because of how much more epic the story feels with the remade graphics and the voice acting. A collection of reviews for Final Fantasy IV.